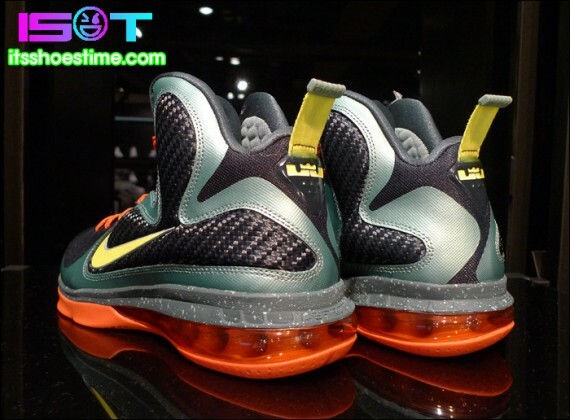 Another look at the unique "Cannon" colorway of the upcoming Nike LeBron 9. 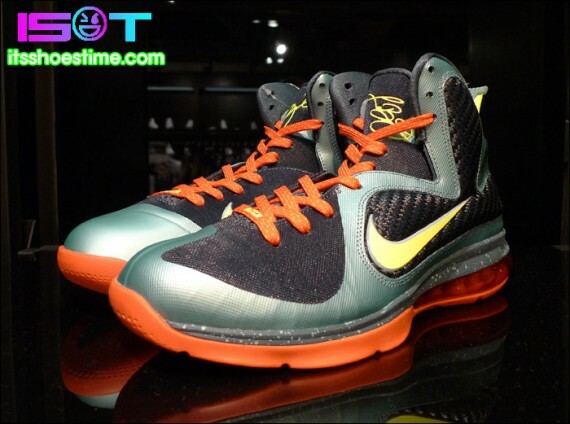 When images first leaked of this unique colorway of the Nike LeBron 9 many considered them to be inspired by the University of Miami. As details continued to surface, we learned that this interesting combination of vibrant shades was actually inspired by Elgin Air Force Base, home to the Miami Heat's training camp prior to the 2011 NBA season. They create their unique look with an all-new shade of green known as "Cannon," covering most of their synthetic upper. Black fills in the remaining areas, while a volt hue takes care of the Swoosh and tongue signature. Team Orange is also seen, covering the laces and taking care of the 180 heel Air bag and outsole down below. 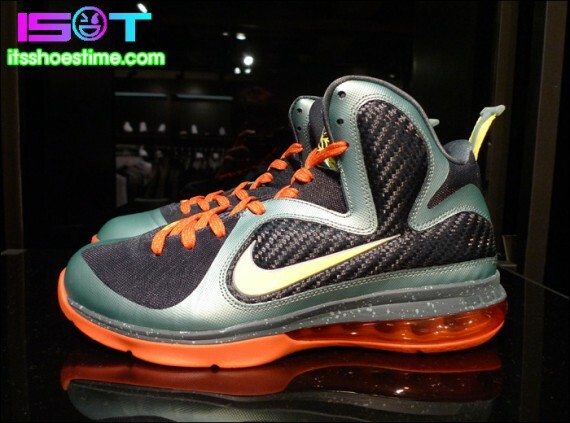 The "Cannon" Nike LeBron 8 is expected to release 11/11/11 at select Nike Basketball retailers.